I reviewed the CD version of this back in Issue #72* and my views haven't changed, in fact they've probably hardened; does the world really need another live Styx album/DVD? When it treads the same old ground and gives us versions of songs no better than we've heard before then the answer has to be no. 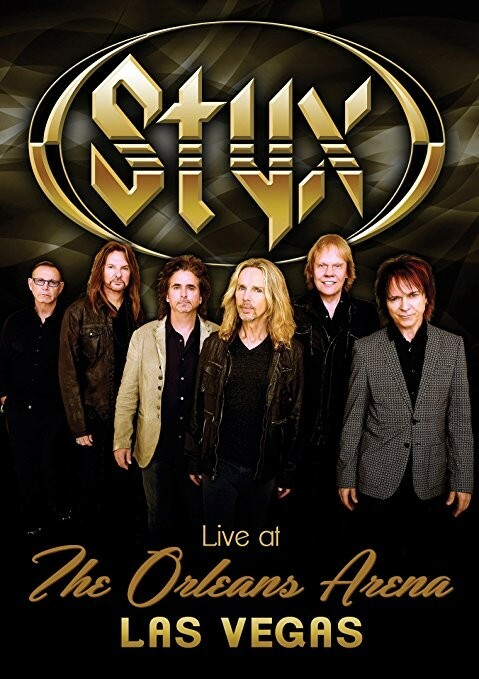 As I watched this, I actually became annoyed because Styx could be and have been so much better, with no new material or any changes in the set they've effectively become a cabaret act or their own tribute band, pandering to the lowest common denominator. The show is cheesier than a gorgonzola creamery with the choreographed poses, guitar solo walkabout, Lawrence Gowan's camp prancing and appalling between song banter. Telling the audience they smell good is going a tad too far by anyone's estimation. It's also a very short show; I'd have been royally fed up to have paid for just an hour of stage time. The only difference between the CD and DVD versions being the inclusion of interviews (the concert can be run with or without) with the band members, crew etc. which intersperse the songs. These are hardly enlightening, delivering the usual anodyne stuff you could have predicted before you'd even heard them (life on the road is tough, our fans are fantastic, here's a look around the tour bus...). Leaving the audience to sing (they fail dismally) parts of 'Renegade' was the final nail as far as I was concerned. I can't imagine ever feeling the need to watch this again. Without a shadow of a doubt Tommy Shaw is the star of the show and I couldn't help thinking that a man with his talent should be producing new material. From my perspective this release will only find favour with the most ardent Styx fan who thinks they can do no wrong.